So What’s The Deal With Bitcoin? For months now, bitcoin has been a steady presence in the news cycle and now other types of virtual “coin” are appearing and attracting additional buyers, the attention of Wall Street investors and even the IRS. Recent rapid spikes in the price of the virtual currency have also caused some early market entrants to become quite rich. In this column, I will explain bitcoin, its pitfalls and the legal implications of the virtual commodity. Bitcoin is simply a method of exchange – numerical entries that can be added and subtracted from “accounts” anyone can set up on public ledger software called the “blockchain” that anyone can access. Blockchain technology functions as a register, visible to all, that records and constantly reconciles any transfer of virtual coin from one person to another. But bitcoin is not actual money. It’s not backed by any sovereign nation. There is no central bank to control inflation and deflation, no deposit insurance, no bitcoin checking accounts, no paper or metal. (Those shiny “bitcoins” one sees in stock photos are just props.) Transactions on the blockchain do not involve any bank or government. Bitcoin is nothing more than numbers in cyberspace. It is a “virtual currency” and as such has no intrinsic value. Because of this lack of guarantor, if a virtual coin owner loses their password or their bitcoin account is hacked, they will lose everything in an instant with no possibility of an “undo” or a refund. The same holds true for those who keep bitcoin in an account on an exchange where they can buy and sell for hard currency. If the exchange is hacked, which happens frequently, there is no chance of mitigating the loss as there is with a bank where your money is insured against fraud. So why are people willing to pay real money to acquire bitcoin? The reasons keep changing. 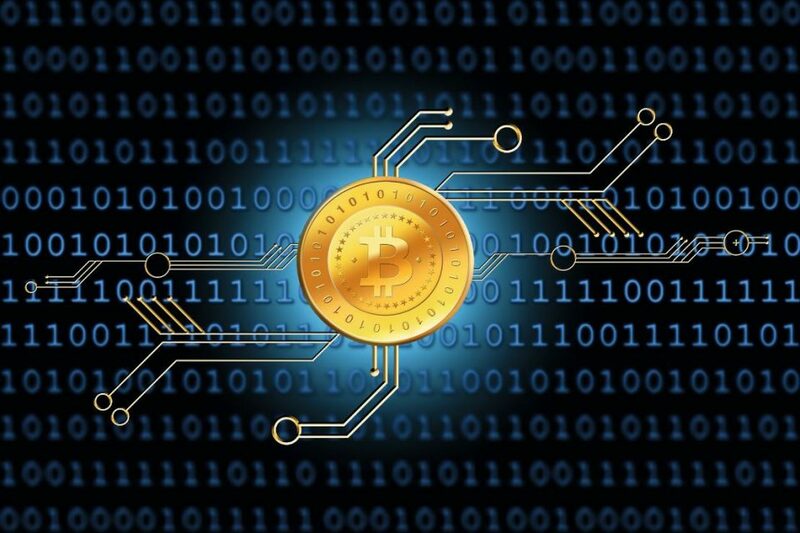 Originally, bitcoin was attractive to the tech savvy and those who liked the idea of a non-governmental, online- only “currency.” At first it was worth almost nothing, but users found value in it because it could be used as a medium of exchange and could be converted to and from hard currency if desired. Unfortunately, bitcoin’s anonymity and untraceable nature quickly attracted the criminal element. Drug dealers, purveyors of ransomware, gun runners, money launderers, fraudsters and criminals of every sort all over the world had a field day. They still do. 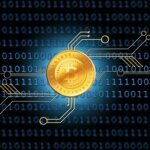 Virtual coin is awash in dirty money, and that is certainly one of the reasons the demand for it has risen. The anonymous founders of virtual coin, a person or group known only by the pseudonym Satoshi Nakamoto, created a built-in limit of 21 million bitcoins and because the supply of bitcoin is finite, when demand rises, so does the price. In 2017, the price of bitcoin started increasing rapidly; the market saw many new entrants and bitcoin futures began trading on the Chicago Board Options Exchange (CBOE). A speculative binge ensued, driving the price still higher. Though the price of bitcoin has fallen rapidly in the past months, the New York Stock exchange recently filed with the Securities and Exchange Commission to list two exchange traded funds that would track bitcoin futures. People often ask about the legal and tax aspects of buying and selling virtual coin. There is no “virtual currency law” in the United States, so buying, owning and selling bitcoin and using it to purchase goods or services is perfectly legal. The IRS considers virtual coin to be property, not money, so if it appreciates or depreciates in value, there’s no taxable gain or loss until it’s sold or purchased for hard currency (or converted to or from something with a fair market value in hard currency). Thus, like any other payments made in property, if the fair market value virtual currency received in payment for goods or services totals $600 or more in a taxable year, this must be reported to the IRS. Since bitcoin is a relatively new medium of exchange and so many new blockchain users are entering the market, it can be useful to follow some simple guidelines in order to avoid losing money or attracting the attention of government officials. Using a U.S.-based, government-licensed exchange to convert between bitcoin and dollars is by far the safest approach and one that will not raise any suspicions of money laundering or tax fraud. U.S. businesses that exchange virtual currency for hard currency or vice versa are highly regulated and licensed. Off shore businesses that do the same, not so much – and the risks of being defrauded or being caught up in a criminal investigation are much higher. Anyone who wants to convert bitcoin into dollars – especially large amounts – and anyone who accepts bitcoin in payment of goods or services (or who uses bitcoin to pay for them) would do well to consult with an attorney who is familiar with both the tax and technological aspects of virtual currency. Doing so might not only result in tax savings, but also could avoid unwanted scrutiny by the IRS.